1. In a food processor fitted with the “s” blade grind the almonds until finely ground. Add the dates, raisins, and spices. Grind to a fine meal. 2. Add the almond butter, process again until thoroughly mixed. 3. 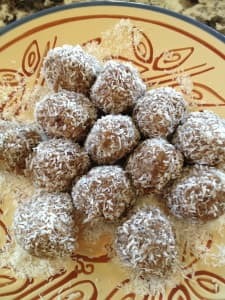 Form into balls and roll in shredded coconut. 4. Store in a sealed container on the counter for up to 3 days, or refrigerate for up to a week. 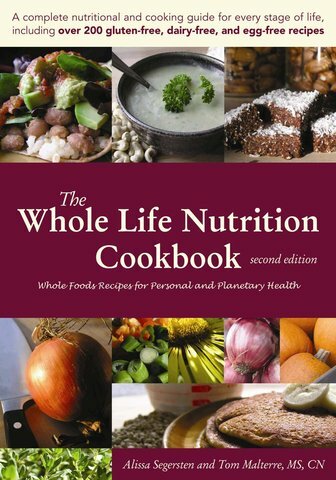 This Cookbook is a must-have in any healthy, gluten-free kitchen!